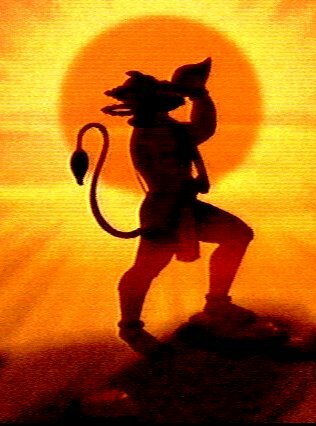 aside from the deep philosophical understanding of the true nature of devotion/Bhakti (because most of us already know how Hanuman-Rama relationship helps us visualize the nature of devotee-divine), are there any practical lessons to be learned from the story of lord Hanuman that we can apply to our day to day lives? 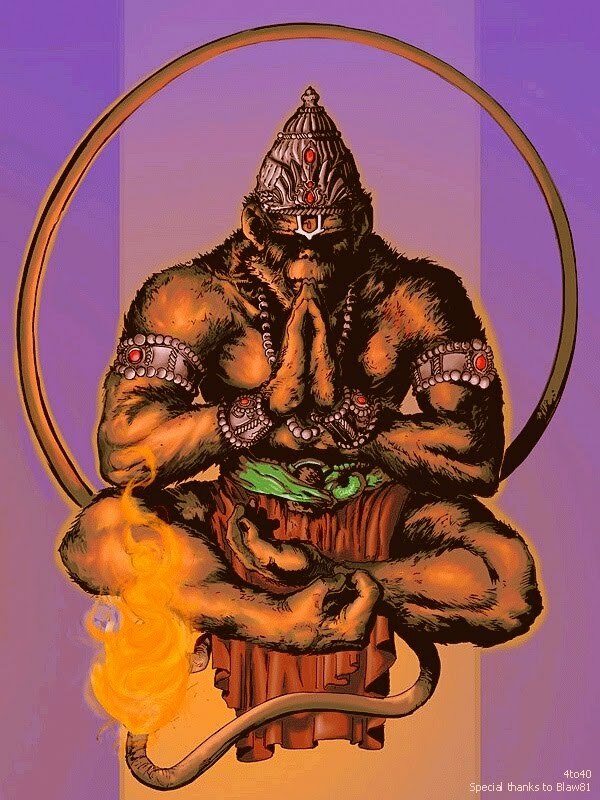 Casually stated and coming from the people who don't truly understand Hinduism, it boils down to - "What does this monkey god teach us?" For more serious followers (both Hindus and non-Hindus), and for people trying to understand the practical applications of Hindu philosophies, it is an extremely significant question because, in essence, it implicitly asks us - "Is Hinduism just a collection of abstract philosophical ideas or does it teach us something practical that we can actually use in our daily lives?" In this post, I'll try to address this question in the context of the ancient legends associated with Lord Hanuman. 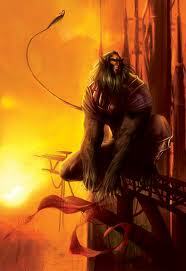 Hanuman was pretty much just an ordinary vanara/monkey soldier in Sugriva's army. He was not known to have any superhuman powers and there was no conceivable way he could do anything more than you or I can. Yet, he was able to fly across oceans, face the demon lord Ravana himself and uproot entire mountains! So, what happened? How did he accomplish all this? Did lord Rama's request for assistance (or His command, if you will) make all this happen? Why did lord Rama ask Hanuman to do something that a vanar/monkey would never be able to do? 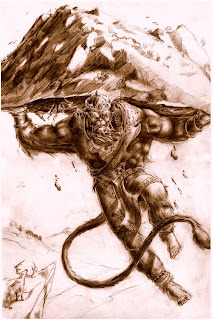 Hanuman was always capable of all those feats, he always had powers that rivaled even the Trinity (Shiva, Vishnu, Brahma); but He simply never realized what He was capable of until the need for those powers arose. 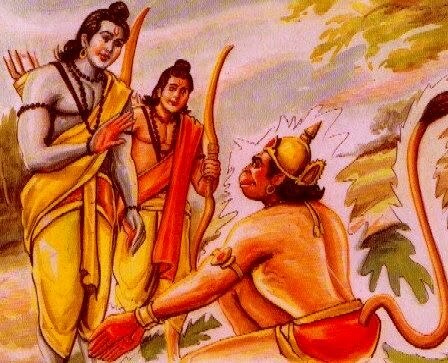 Also, now we begin to understand that lord Rama did not ask Hanuman to do something that He would not have the ability to do, because the Almighty Rama always knew what Hanuman was truly capable of. And finally, the seemingly impossible tasks assigned to lord Hanuman actually helped Him discover what He was capable of! He also gives us the means/power to solve it. One can say that it is a test of our faith, but I would respectfully disagree. I believe, in accordance with Hinduism, that God does not "test" us, we are not in a school! Instead, God gives us problems so that we can discover our own unrealized potential. 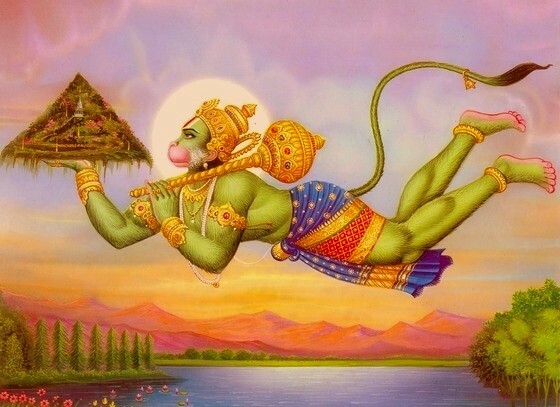 Just as lord Hanuman realized his potential powers only because He faced a seemingly impossible task, in the same way, we can realize our own potential and refine/improve ourselves by accepting new challenges and believing that God gave us all the means that we need to get through the problems and come out stronger. In very simplistic terms, for the sake of our fellow Atheists or Agnostic brothers/sisters - It means that we should not back away from life's challenges. We must believe in ourselves, have confidence in our abilities and strive to be successful. Tangentially, I might add that even Atheists/Agnostics/non-Hindus can follow this great philosophy of life. Hinduism just doesn't apply to Hindus, it's a religion and philosophy meant for all of mankind (as opposed to Christianity that applies only to Christians and Islam that applies only to Muslims etc). This is the beauty of Hinduism - you can use the life lessons regardless of your own faith, because as far as Hinduism is concerned everyone is born Hindu and no one can escape the basic principles of life taught by Hinduism no matter what religion he/she chooses later! always gets me excited, but let us get back to the topic at hand - Now, some of you may be wondering about your past failures or the current problems that you just can not resolve. There can be incurable sickness or loss of a loved one or any other condition that simply can not be resolved even within a lifetime. 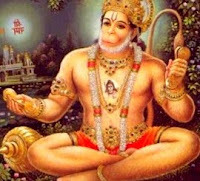 You may ask, why God gave you this problem without the ability to solve it and why don't the above lessons learned from the story of lord Hanuman apply in your particular case. This is a valid question because it helps us distinguish our true life paths and our true selves that the God intended for us from our self-conceived lies/delusions/expectations. Let me also rephrase it for the benefit of non-Hindus and Atheists - This question helps us distinguish reality and our true responsibilities from delusional and unrealistic expectations. Real life examples would be - A husband who has lost his wife might want to bring her back; or a cripple might want his/her limbs back; or an employee might want his/her lost job back; or someone might ask to become taller/prettier/smarter than they currently are (assuming the circumstances just don't allow it presently). This is same as lord Hanuman asking why He has a tail, why can't He be a human instead! The astute readers will immediately observe the frivolous and somewhat misplaced nature of these unrealistic demands. To help us all understand what distinguishes impossible from possible expectations, let me rephrase - The problem with each of those expectations is our own inability to see the real issue. Taking the same examples, we can clearly see that the real problem is not that the husband has lost his wife, rather the real problem is that he is lonely and needs his life partner; in the case of the cripple, the real problem is not that he does not a limb, rather the real problem is that he needs to learn how to go about his life with limited mobility; in the case of the employee, the real problem is that he needs to find a job rather than find some particular job that he was at; in the case of the person wanting to become prettier/taller/smarter, the real problem is the lack of self-esteem and confidence in themselves. The basic realization being - it's not about "why me", rather, the lesson to be learned from the story of lord Hanuman is discovering and solving the core problems instead of worrying about superficial details. Once the core problem is solved, superficial issues will go away themselves. Besides, in many cases, what we think of as a weakness actually turns out to be a strength. For example, lord Hanuman's tail can be considered His weakness because the demons bound Him by His own tail and a tail is generally a fragile and sensitive organ. But lord Hanuman turned this weakness into His strength by setting the demon city Lanka on fire by using that tail itself! This also teaches us that sometimes we have to learn to think outside of the box and turn our weaknesses into our strengths! I went into a lot of details there for the sake of our atheist/non-Hindu readers, but if we believe in God and His understanding in accordance with Hinduism, we can easily understand this concept simply by the fact that unrealistic expectations exist simply because we're going against the nature! God almighty has created this universe with a fixed set of physical and metaphysical laws and by accepting God in accordance with Hinduism, we're also understanding those laws. These laws can be simple things like - we can't go back in past and we can't bring someone back from dead etc. Sometimes, even the staunch believers though are led astray because of a negative state of mind and they reject the true nature of almighty and their beings simply on account of their ignorance and try to do something that God never intended us to do thus straying from their true paths. We must always stay grounded in reality and keep our faith (confidence, in case of non-believer readers) and then sometimes we can even achieve the impossible! The key is to understand the true nature of God (or the physical laws of the universe, if you will) and then work ceaselessly until we succeed. This does not mean that we keep running into the wall to get past it. Sometimes we have to go around the obstacles! For example, lord Hanuman did not kill the sea-demon Surasa when she stopped Him from going to Lanka in search of mata-Sita. Instead, He got past her by using His ingenuity and intelligence. Later, instead of forcing His way inside the palace guarded by demon hoards, He simply let the demons catch Him and then set their palace to fire when they themselves took Him inside as a prisoner! These little stories teach us that we must also learn to see beyond the obvious solutions and, as computer scientists would say - "think outside of the box". But when no ingenious solution was available, He also had to resort to uprooting and then carrying a whole mountain, but He was able to do so because He was doing God's work and again if God has assigned you a task - then He has also given you the power to do it. When you're following God, you simply CAN NOT FAIL. For those who do not believe in God and Hinduism, it can be rephrased as - When you're doing your rightful duty, when you're doing something because it's your responsibility that must be done by you, then you have the means to succeed within you; all you need is faith in yourself and 100% application of all skills that you have, and you will succeed! Coming back to the parallels in the legend of lord Hanuman - Any other vanar/human would've given up saying he just couldn't. After all, how can one lift mountains and fly across oceans! But lord Hanuman did not lose faith, accepted his duty and took the first step towards the path that Lord Rama had chosen for him and soon all His troubles melted away. The point here is that lord Hanuman realized his true powers only because He chose to do the difficult task instead of saying he doesn't know how to do it and backing off. Similarly we must not be afraid and lose confidence just because life is difficult sometimes, we must fight on and have the faith in God and we'll find that as soon as we take that first step, our troubles will melt away because of our new understanding of our strength. Also, we might not gain the abilities to lift mountains and cross oceans quite literally, but we will gain whatever means are necessary to get the job done - it could be help from someone, it could be our new understanding of the problem or it could simply be an idea that makes all the difference - the key here is to not lose our confidence and our faith in almighty and keep trying until we see the solution. This is how so many discoveries/inventions have been made - people fail but they don't give up, their passion for solving the problem doesn't die out and they keep trying until they finally succeed. And finally, the last point that I'd like to make is - Some readers might ask "If God gave us the powers to solve our problems, then why does it take such huge effort sometimes?" In the context of the story if lord Hanuman, this question becomes - "Why did lord Hanuman have to wait to realize his powers?" Going back to the legend, we immediately see the answer - It's not like we will succeed simply because of our faith, no, we will succeed when we're ready for it, we'll succeed when we've learned the lessons that we were supposed to learn from that obstacle. 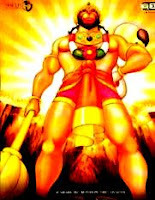 Lord Hanuman did not initially succeed in His endeavors either, in fact even after realizing His powers, he faced insurmountable difficulties. 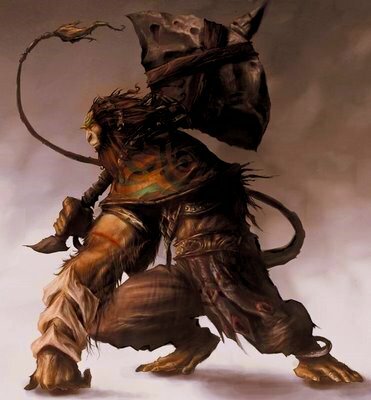 He was threatened to be imprisoned forever by the the demon, He was captured in Ashoka vana and He was taken to the demon lord Ravana, but he found creative ways to win against all odds. This is another example of being able to see our full potential by facing difficulties. This is what modern psychologists have now "discovered" what we Hindus have known for thousands of years - "Facing your fears". You will not know what you are capable of until you face life and the problems that life presents. The very act of striving to solve the problems helps you improve yourself and helps you see the truth. This act of fighting the good fight and not giving up is our Karma and problems exist simply so that we can improve ourselves. These are some of the biggest practical life lesson to be learned from the legend of Lord Hanuman. Jai Shree Ram! JAI JAI BAJRANG BALI.......PLEASE ALWAYS BLESS ME.. Very, very very Inspiring write-up. Reading the article makes one appreciate the ancient wisdom and ingenuity of hindu sages. How they have cleverly used mythology to impart life - guiding lessons to mankind. I pray to Krishna to bless and guide you on this divine endeavour of yours. I end thanking you for this motivating article. It's really fantastic information you provided on my lord hanuman . Thanks a lot for it . Any body in this world would be benefitted from this wonderful information, whether he/she is a Hindu or an athiest or a follower of any other religion. What agreat way to interpret and perceive rather conceive the spiritual teachings into a lesson to lead a life.